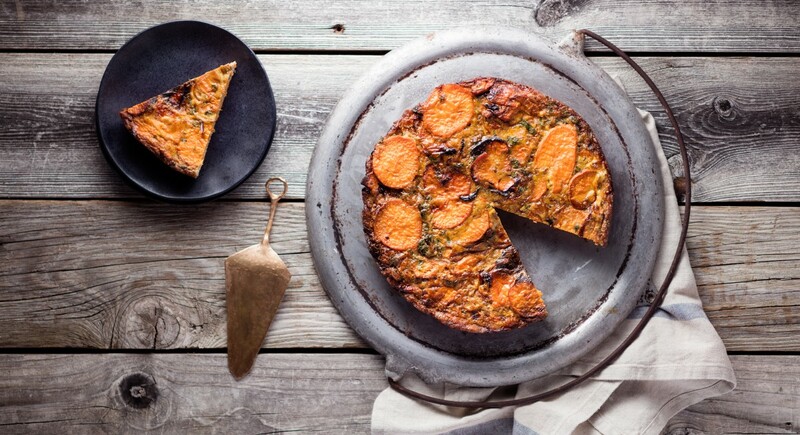 If the humble sweet potato isn’t getting much love in your kitchen, let’s change that. And this tuber is good for more than roasting. Although there’s nothing wrong with topping one with all the fixings and calling it a meal, we have a few more ideas up our chef’s-coat sleeve, like gnocchi, waffles, and even chips. It’s time to get cooking and learn more about these sensational spuds! A sweet potato is a root vegetable that’s long and tapered, with a smooth skin that ranges in color from purple and red to yellow, orange, and brown. The flesh comes in a rainbow of shades as well, orange being the most common option found in supermarkets. Sweet potatoes are thought to have originated in either Central or South America. But here’s where things get confusing. Most of what are marketed as “yams” in your local grocery store are actually orange-fleshed sweet potatoes. In the United States, the firm variety of sweet potato was the first to be produced so when soft sweet potatoes came on the scene, they started being labeled as “yams” in supermarkets for two reasons: because they resembled yams (even though they’re not yams), and to differentiate them from the firm variety. Sweet potatoes are a source of beta-carotene, an antioxidant that gives orange fruits and veggies (like carrots and butternut squash) their vibrant color, and converts to vitamin A in the body. How can we cook thee? Let us count the ways! Seriously, there are plenty of options, from the oven to the microwave. 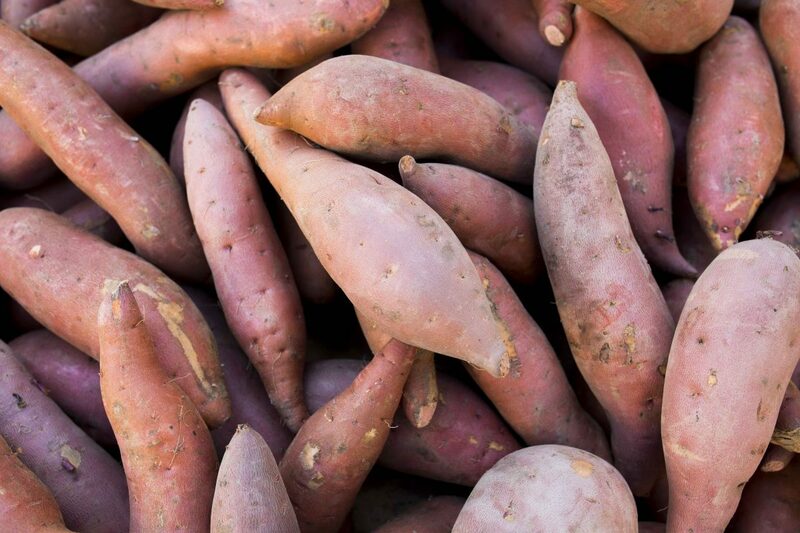 Roasting is one of the best ways to bring out the natural sweetness of sweet potatoes. Roasted sweet potatoes are the perfect option for a winter side dish, or you can load up on the toppings like Greek yogurt, scallions, and crumbled bacon. Here’s a simple recipe to try. Preheat oven to 400°F degrees. Scrub sweet potatoes and let them dry on a towel, then prick their skins with a fork. Place on a rimmed baking sheet lined with foil and massage the potatoes with oil. Bake until tender, about 45 minutes. If you’re short on time, stick a potato in the microwave and you’ll be good to go. Scrub sweet potato, then prick the skin with a fork. Wrap in a damp paper towel and place on a microwave-safe plate. Microwave on high for 5 to 8 minutes, or until the flesh feels soft and tender. Stick to the stovetop for an easy recipe that’ll leave you with crisp edges and tender flesh. Try the resulting spuds in a hash with onions and peppers, or toss them with a fresh arugula salad and goat cheese. Scrub sweet potato and let it dry on a towel. Roughly chop into 1-inch pieces. Heat oil in a skillet over medium-high heat, then add the chopped sweet potatoes. Cook 3 minutes without stirring, then toss, cover, and cook for 8 to 10 minutes more, or until tender. 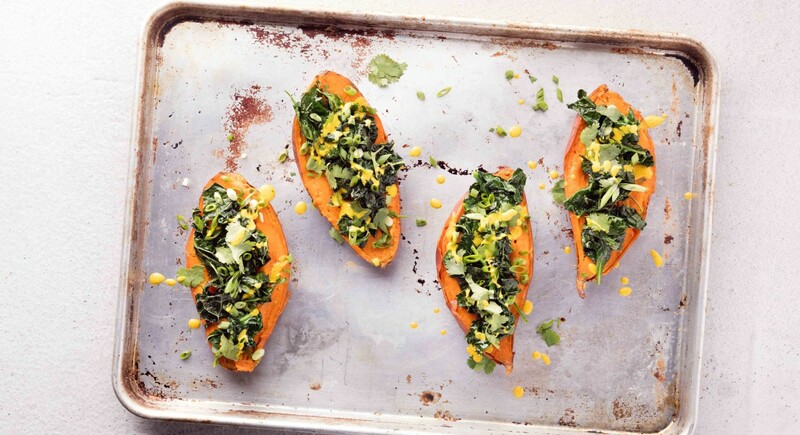 You can do so much more with sweet potatoes than serve them up baked-potato style. Here are some ideas to get you going! 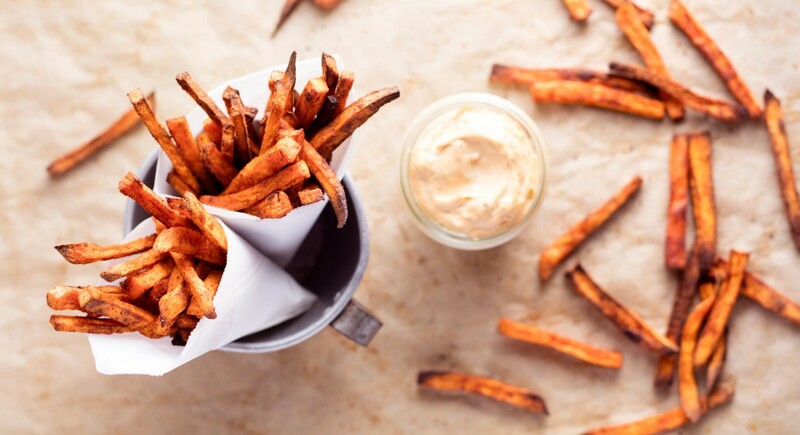 Get ready to line your pantry with some of our favorite sweet potato products. 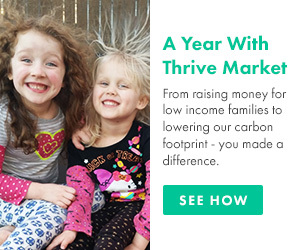 And don’t just take our word for it—hear from Thrive Market members who are raving about these top picks. All the work is done for you in this ready-to-use can of organic sweet potato purée. Add a scoop to muffins, pancakes, or even make it a base for bisque. 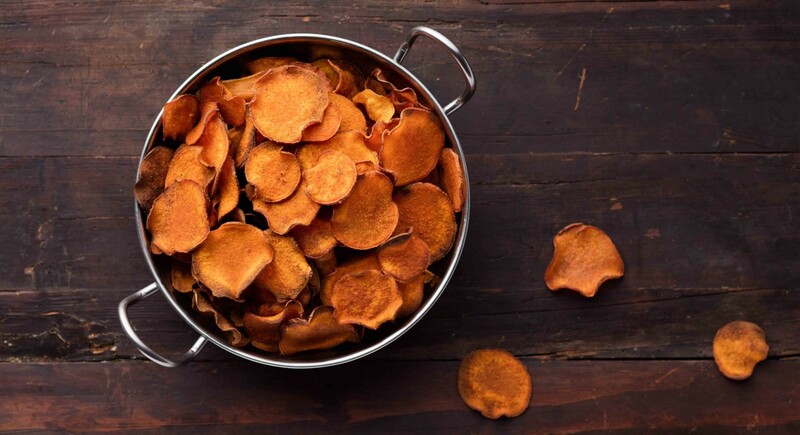 Try this riff on a classic baked potato chip with a hint of cane sugar to enhance the natural nuttiness of the sweet potato. And they’re great for dipping—try fresh fruit salsa or onion dip. You’ll be in love after just one crunch. These multigrain chips blend organic whole white and yellow corn with brown rice, chia, and sweet potato for a deliciously gluten-free snack. Sweetened with pure fruit juice and fortified with extra vitamins and minerals, these puffs are perfect for babies who are starting on solids and learning to self-feed. 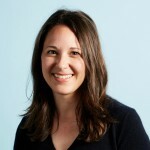 Introducing solids? Here’s a healthy way to help baby transition. This gently cooked organic sweet potato comes in a convenient and resealable quarter-cup pouch perfect for travel. Enough reading, let’s eat! Whether you’re craving something comforting (don’t miss the white chicken chili) or have something a little more decadent in mind (like a creamy gratin), you’ll swoon over these gorgeous and tasty recipes. When you’re feeling the chill, nothing warms you up faster than a big bowl of chili. 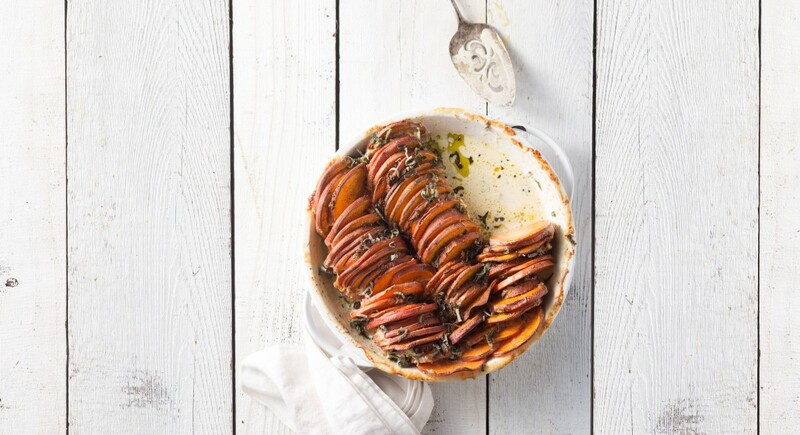 This bowl is Whole30-approved and extra luxurious thanks to a can of organic coconut cream. Freeze leftovers for a fast dinner anytime! It doesn’t have to be a high holiday to whip up a batch of latkes. 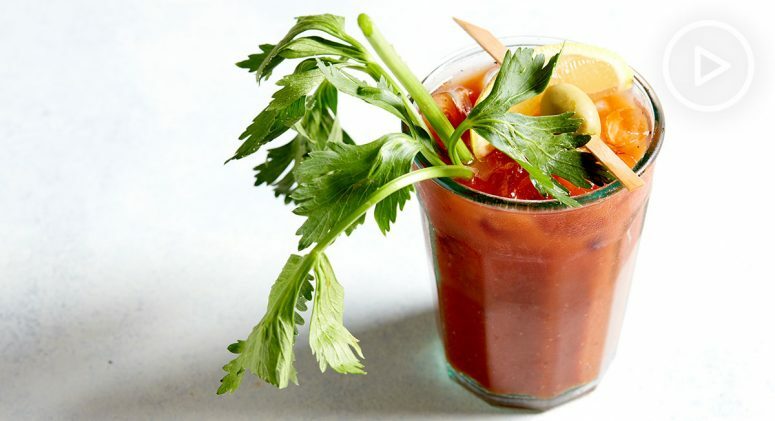 Shake up the usual recipe with our crispy and herbaceous version made with grassy celery root. This vegan side dish skips cream and opts for nutty almond butter instead. (Trust us.) Top it off with non-GMO vegan marshmallows and you’ll be ready to gobble up our plant-based version of a classic Thanksgiving recipe. This recipe is twice as nice thanks to a two-bake method that keeps the potatoes extra tender. The maple-infused whipped topping is heavenly, but you can swap in coconut cream to keep it vegan. If dairy isn’t an issue, you’ll love the thick cream sauce that coats these thinly sliced spuds. A dash of nutmeg really rounds out the flavors. Savory waffles = mind blown. We’re all for maple syrup, but change things up by adding cayenne, paprika, and scallions to give your batter an extra kick. 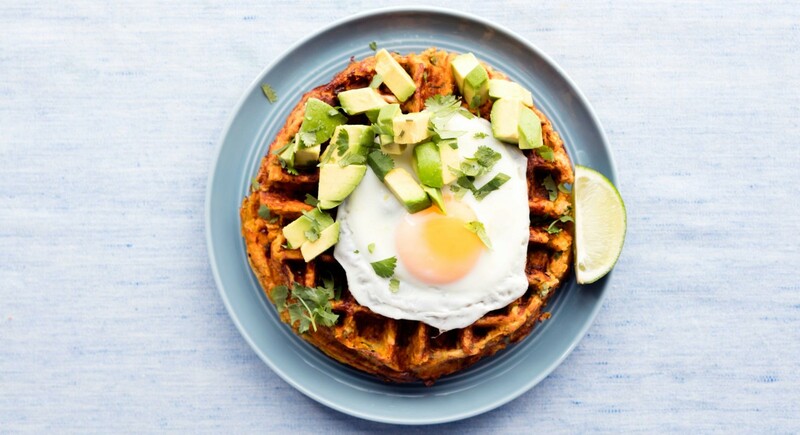 With a crisp exterior thanks to the waffle maker, just add a fried egg, some avocado slices, and cilantro for an impressive brunch dish. You can’t go wrong with fries. Here cumin, cayenne, and chili powder bring just the right amount of heat, while a touch of coconut sugar helps bring out the natural sweetness. Dip ’em in a chipotle-lime mayo for the perfect finish. For these vegan and Paleo-friendly spuds, we pile the toppings high. Sautéed kale and creamy avocado add the green factor, and a drizzle of homemade tahini-turmeric dressing makes every bite extra creamy. The secret to this recipe is slicing the potatoes wafer-thin with a mandoline. Then toss them in a seasoning blend of cumin, paprika, and salt before baking for an addictive snack. Our rendition of a traditional tortilla española keeps things simple with caramelized onions and a medley of fresh spices. Serve it alongside ham and cheese for a tapas-inspired supper. Here’s a perfect Italian meal when you’re feeling inspired to get hands-on in the kitchen. 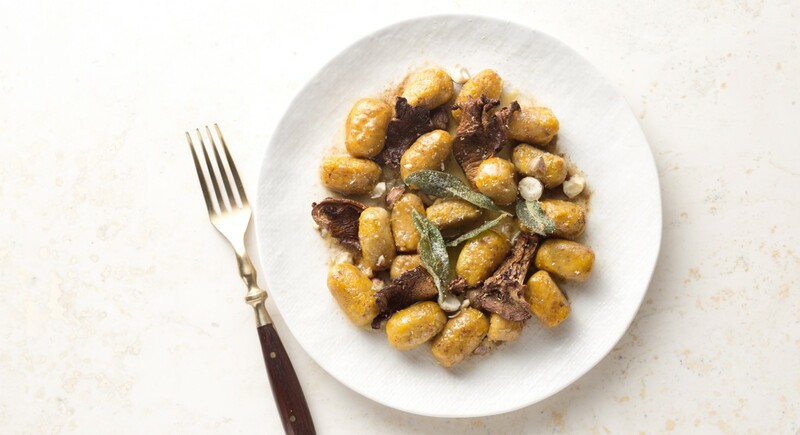 We use a blend of hazelnut flour and arrowroot flour to keep this dish gluten-free, then make a sauce of sautéed chanterelle mushrooms and fragrant sage butter.